Learn how in this full step by step comprehensive program with Monthly Facebook Group Live Support Sessions. Created by anxiety and stress expert- Eileen Burns, owner of Stress Coach Training. 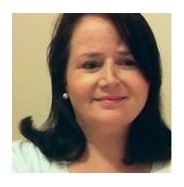 Eileen is a highly qualified therapist, coach and a healer of 25 years. She has been supporting and teaching clients how to let go of anxiety and stress for over 18 years. As a stress expert who has taught in the health, education and charity sectors. She now spends most of her time on her online certificated training school for professional coaches, healers and therapists. As someone who lived with chronic health challenges including burn out at a very young age, leaving her mostly bed and housebound for 7 years. She knows how life isn't always fair but how with the right help and treatment.You can get your life back. Eileen a natural nurturer and teacher is extremely authentic, professional with high integrity in everything she does. Her Freedom From Anxiety Program is based on years of experience working with clients who suffered chronic anxiety disorders, panic attacks, depression, stress and post traumatic stress. The course starts now you have 12 months to complete it! It is a completely self-paced online course - you decide when you start and when you finish. 12 months access - across any and all devices you own.